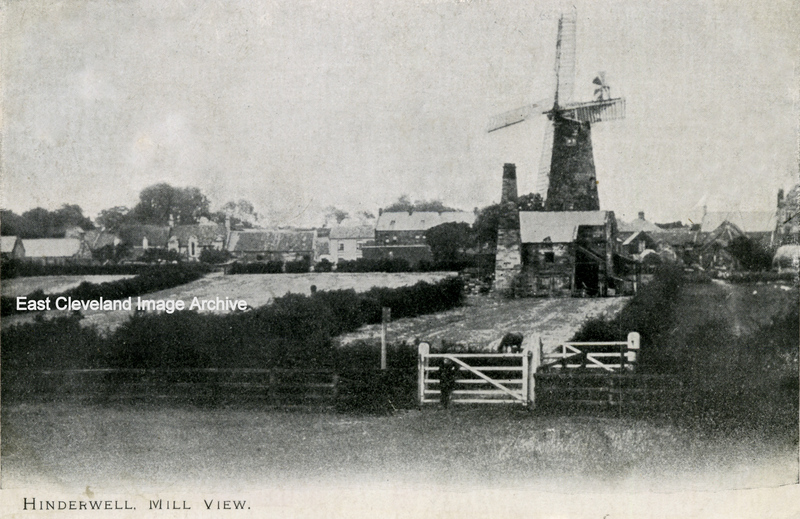 A view of the windmill which this time includes Hinderwell village in the background. This postcard view (postmarked July 1904) shows the windmill in apparent working order. Image courtesy of Ann Wedgewood and Keith Bowers. Can someone tell me if this windmill was owned by the local coal merchant? I can remember, as a boy sleeping in this Windmill, when I was invited by HIM – forgotten the name! He had someone who was in Friarage Hospital at Northallerton along with my sister Janet!